One look at Puspa Dewi is all it takes to understand why people often confuse her with her two sons’ girlfriends. 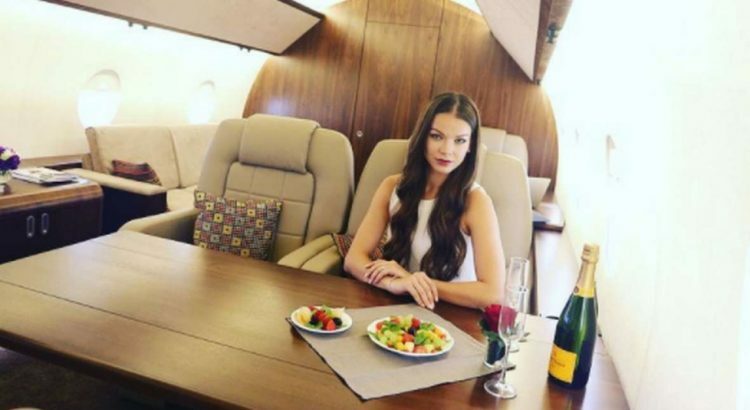 At age 50, the Instagram star looks a lot better than most women in their 30s. Puspa Dewi, an entrepreneur and mother-of-two from Jakarta, Indonesia, recently celebrated her 50th birthday, but you’d have a heart time guessing her age just by looking at the photos she uploads on Instagram. She doesn’t look a day over 30, in fact, she could easily pass for a woman in her early 20s. When she poses with her two teenage sons, people (that includes me) can’t believe that she is their mother, and not their girlfriend. 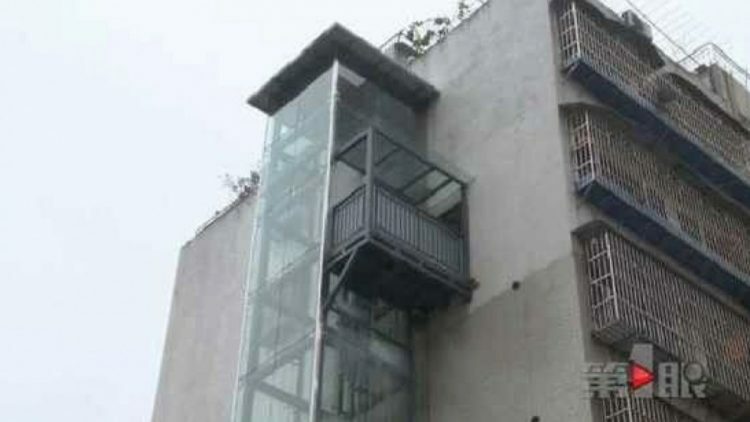 Sick of listening to his lazy son-in-law complaining about how hard it was to climb the stairs to his 6th floor apartment, a man in Chongqing, China, built a private elevator that only goes up to his apartment. The man, surnamed Xong, has been living in the Tongliang District apartment building for decades, but never complained about having to walk up to his apartment every day. But when his son-in-law moved in, he had trouble getting used to the daily climb, and always complained about how exhausted he was after walking up the stairs. Tired of his constant wining, Xong decided to do something about it. The Pause Pod has been mocked on social media as a really expensive children’s tent for adults, but its inventors claim it is actually a portable “private pop-up space free from stressful moments”. Inspired by the blanket forts that most of us made as children, the Pause Pod is designed to offer user an escape from the pressure of modern life, anytime, anywhere. 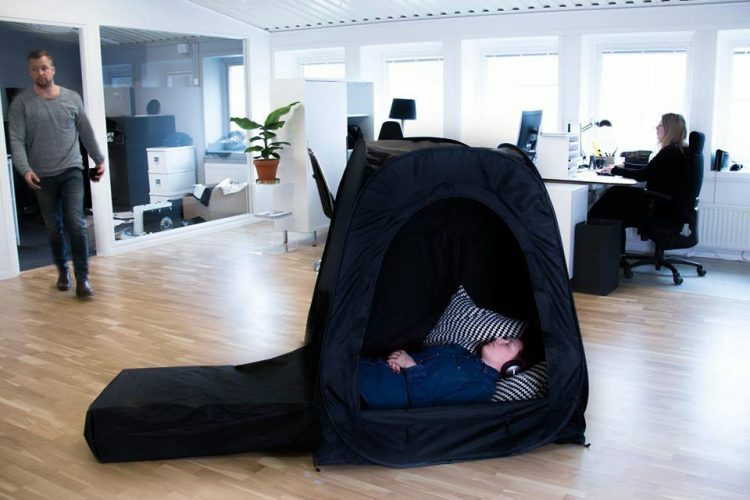 Whether you’re looking to take a quick nap, read a chapter of your favorite book, watch the latest episode of Game of Thrones or just meditate, at the office, at home or even on the street, all you have to do is take out your portable Pause Pod, step inside and take a break from the outside world. 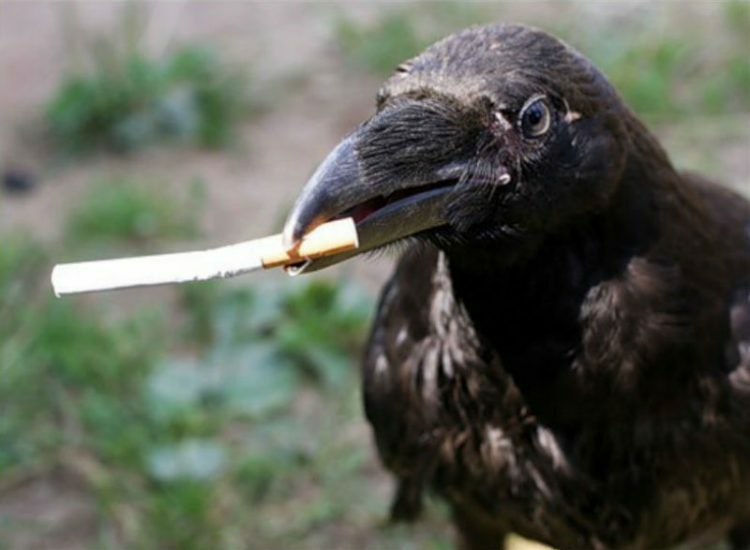 Alarmed by how many cigarette butts littered the parks of Amsterdam, two Dutch designers came up with an unusual plan to train crows to pick up the butts and trade them for tasty rewards. Industrial designers Ruben van der Vleuten and Bob Spikman originally considered using robots to clean the streets of cigarette butts, but they presented a series of difficulties, particularly the complicated programming required to have them vacuuming the buts out of every nook and cranny while trying to avoid bicycles and passers-by. So they turned their attention to one of the most abundant resources of urban areas – birds. Pigeons were the first ones they considered, because they can be found in virtually every city in the world, but a quick search revealed that they aren’t really known for their intelligence, so training them would have been very hard. But the two designers soon found a bird that was both very common around human settlements and much, much smarter – the crow. If you enjoy staring at women’s thighs while you eat, there’s now a place that allows you to do just that, without looking like a pervert. Welcome to Japan’s new World of Thighs Photography Cafe! It’s no secret that Japan loves themed restaurants and cafes, but if you thought airsoft restaurants and reptile cafes were a bit too much, you’re going to love this new joint that is “colored by the world of thighs”. Young girls’ thighs, that it. Designed as an extension of Japanese photographer Yuria’s artistic exhibitions, the newly opened cafe in Tokyo’s Ebisu district is decorated with photos of women’s thighs from Yuria’s existing portfolio, as well as some never-before-seen pics from a recent photo shoot in Guam. If you’re unfamiliar with Yuria’s body of work, it’s pretty much centered around female thighs. 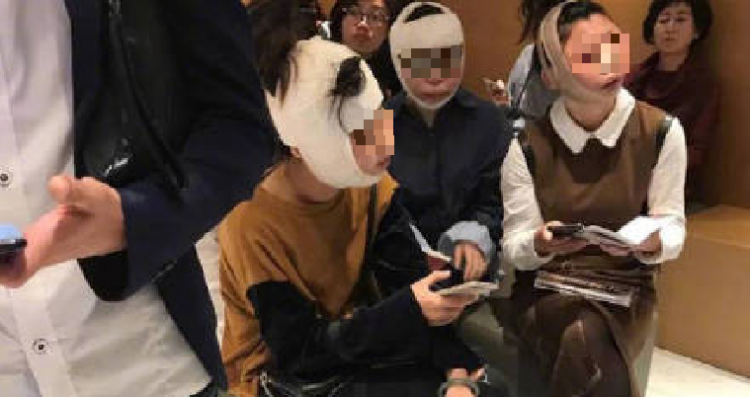 The woman, known only as Wu, apparently noticed that she couldn’t see anything with her right eye on October 1st, while playing her favorite mobile game, King of Glory. Thinking she was just tired, she went to bed, but when she woke up the next day, she was still blind in her right eye. Her parents took her to the hospital, where she was diagnosed with a serious condition known as retinal artery obstruction. 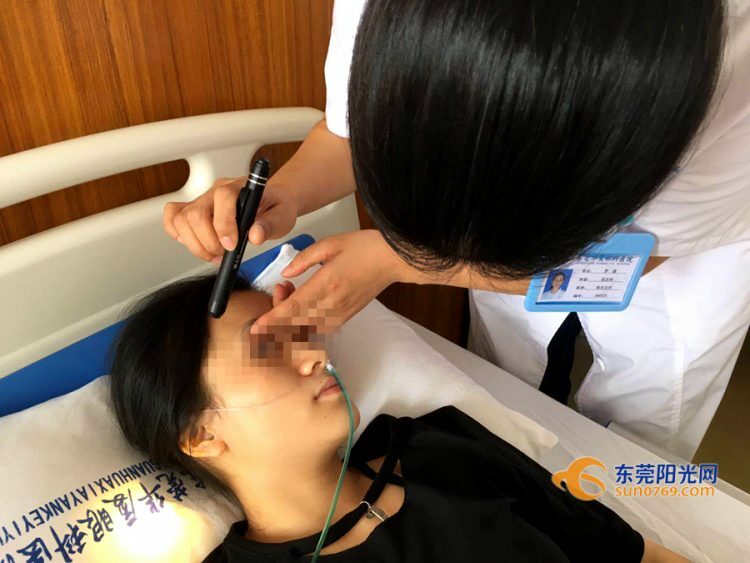 This usually only occurs in older patients, but doctors said that Wu’s eyes were incredibly fatigued by the stressed of constantly staring into the small smartphone screen. 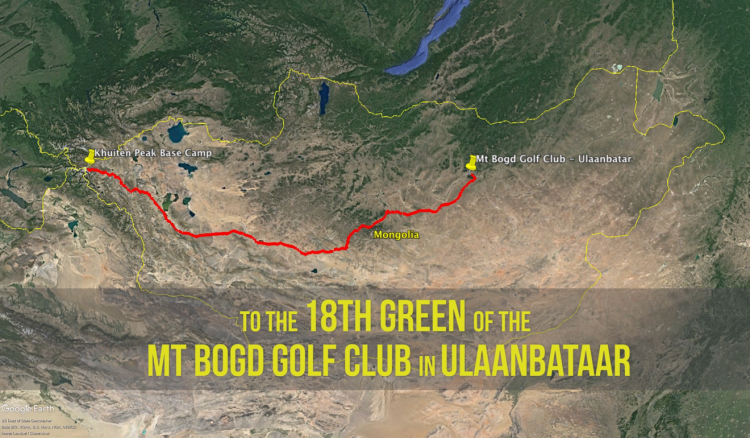 Adam Rolston, a retired rugby player from Northern Ireland, recently completed the longest hole of golf in history, a feat that saw him hitting a golf ball a whopping 20,093 times over a distance of around 2,000 kilometers, across the deserts and mountain ranges of Mongolia. 28-year-old Rolston came up with the idea for this unique challenge while talking to former rugby colleague, Ron Rutland, in Kenya. 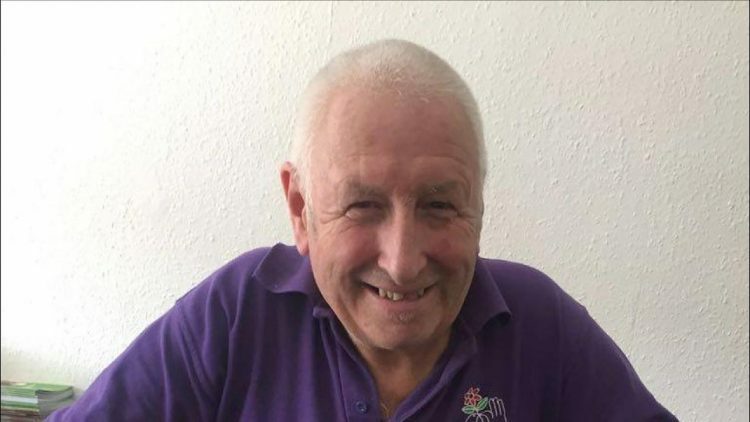 Rutland had completed an epic 26,000-kilometer cycling adventure through every country in Africa, before arriving in South Africa to see his national rugby team compete against Japan in the 2015 World Cup. The incredible story got Adam thinking about a similar adventure, only golf-related. He started talking to his friends about it, but they all said that it couldn’t be done, which only made him want to try it even more. 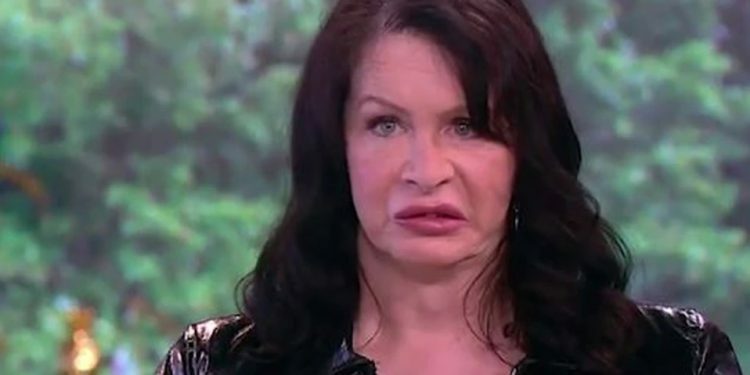 A 45-year-old actress from Germany has been injecting herself with Bacillus F, a 3.5 million-year-old bacteria from the Siberian permafrost, to stop the effects of aging. The woman, who goes by the moniker Manoush, describes herself as a “human lab rat” for being the first person in the world to inject herself with Bacillus F, an ancient bacteria whose cells apparently show no signs of aging. She has been doing it for the past three months and claims it is already making her look and feel younger than her age. After realizing that many of the men using online dating services were trying to find extra wives, an Indonesian software developer decided to make it easier for them by creating a dedicated polygamy dating app. A year ago, while browsing through various Indonesian dating websites, Lindu Pranayama noticed that many of the visitors were actually married men searching for a second or third wives. 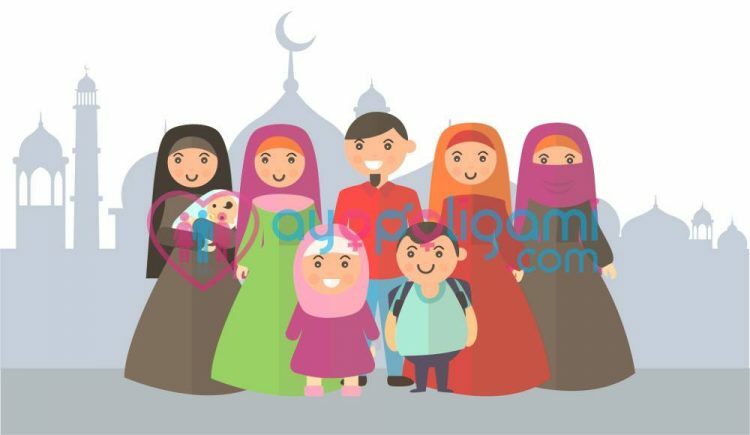 Unfortunately for them, the vast majority of online dating services don’t offer any options for polygamists, so he decided to create “AyoPoligami” – which translated as “Let’s Do Polygamy – a new smartphone app that caters specifically to their needs. 53-year-old Juana Escudero is alive and well, but she’s been struggling to prove it for the last seven years. Following an administrative error, she was registered as deceased, and has been unable to accomplish simple tasks, like renewing her driver’s license or scheduling a doctor’s appointment, ever since. Escudero has become so desperate to fix things that she now wants to dig up her own grave to prove that she’s not the one buried there. 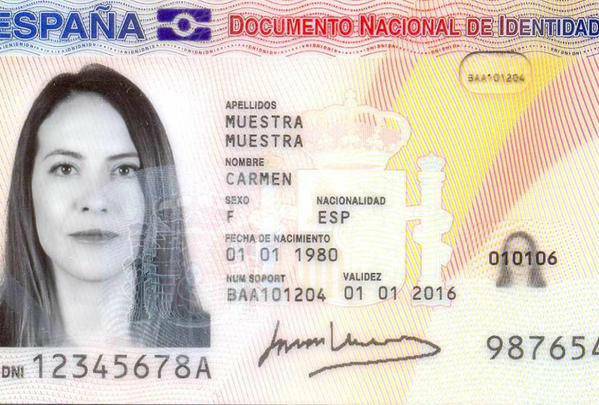 It all started seven years ago, when a woman whose name and date of birth matched Juana Escudero’s perfectly died in Malaga, Spain. Even though the protagonist of this story was alive and well in Alcalá de Guadaíra, a town near Seville, the strange coincidence caused their Social Security data to clash, and the living Escudero has been dead to the Government ever since. She and her family thought it was funny at first, but they’ve stopped laughing at it for a long time now. Catt Gallinger, a young woman from Canada, is using her own experience to make people to think twice and do their research before getting an eyeball tattoo. In her case, the botched procedure left her with blurry vision in her left eye and purple discharge coming out of it. Gallinger, from Ottawa, Canada, said that she decided to get an eyeball tattoo so that she would “feel more at home in my body”, but never imagined it would end up costing her her sight. Soon after coloring the white of her left eyeball purple, the 24-year-old pet nutritionist noticed purple discharge oozing out of it. She went to the hospital, where doctors administered antibiotic drops and sent her home. Unfortunately, things got even worse after that. 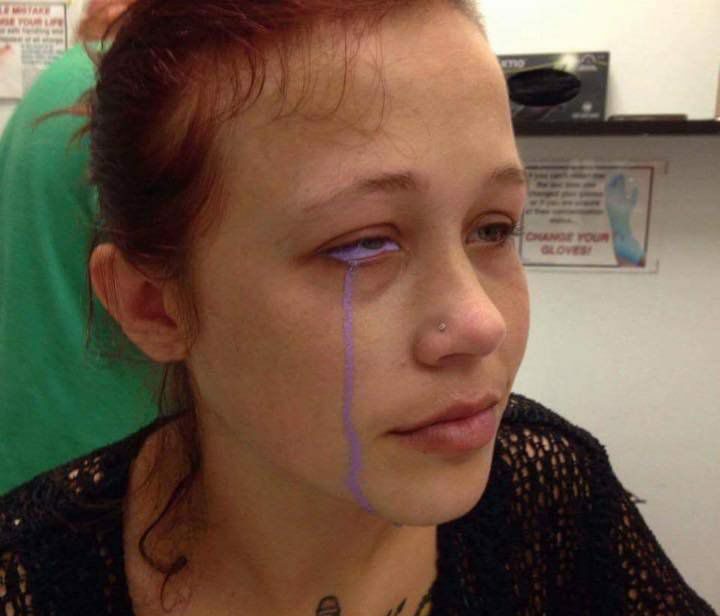 Her eye became swollen shut, and after doctors used steroids to alleviate her symptoms, the tattoo became congealed around her cornea, affecting her vision and causing severe discomfort. It’s no secret that Japanese men have a thing for maids, so it shouldn’t come as a surprise that some businesses try to use their popularity as an advantage over the competition. Like this new programming school in Shibuya, Tokyo, that is trying to attract male students by having cute maids studying alongside them. 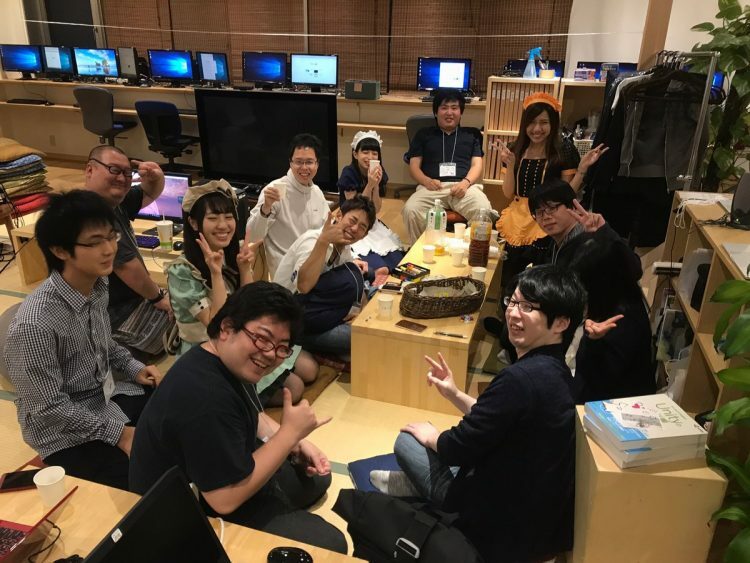 MadeInMaidFamily is one of many trade schools in Tokyo, so its founders knew that they had to come up with something special to give them an edge in a very competitive market. Their solution – cute maids to keep male students coming back and motivate them to hone their programming skills. The lessons are designed to encourage interaction between students with the maids asking and offering help to the guys.